The Fleet Operator Recognition Scheme (FORS) is an industry-led accreditation scheme, recognising fleet operations which comply with the requirements set out in the FORS standard (version 5). The FORS standard is based upon lawfulness, safety, efficiency and environmental protection. There are three levels of FORS accreditation which reward excellence: bronze, silver and gold. FORS provides you with the information and tools you need to follow best practice. 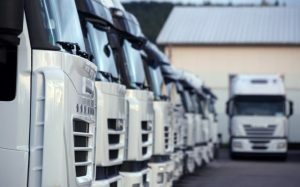 Regardless of whether your fleet is made up of vans or lorries, as a FORS accredited company you can take advantage of exclusive benefits that will help your business through improved competitive advantage. TAC can review your systems in line with the requirements of FORS. Should your systems and policies not meet FORS exacting standards, TAC can support you to prepare all the necessary information, systems and policies required. TAC can also support you to maintain the standard following your accreditation.